Quick Read: Why do certain ideas spread faster than others? Diffusion – a social process where people talk to people is still the way that ideas and inovations spread. Stories from diverse fields like health care and ethnic foods provide further evidence. Did you know the story of the humble Doctor’s coat? Till a major part of the 19th century, a doctor’s coat used to be black in color. Why? Because a visit to a doctor had an air of ‘finality’ attached to it, almost like the solemn nature of a funeral. As per this historical account, until the late 19th century, seeking medical advice was usually a last resort and frequently a precursor to death. The reason? Poor hygiene standards in medical practice. In fact, back in those days, a doctor’s badge of a busy practice was their black coats stiffened with blood and remains of previous operations. Practices like washing hands, sterilising instruments were virtually unheard of in medical practice during those days. Naturally infection became the curse of surgery – becoming the single biggest killer of patients who underwent even uncomplicated procedures. Infection was so prevalent that the discharge of pus from a surgical wound was thought to be a necessary part of healing! Ever since then, many medical practitioners tried hard to conceive of and spread the idea of basic sanitation as an effective means to combat preventable life threatening infections. But failed. For e.g, Ignaz Semmelweis published the earliest known studies that showed basic hand-washing to be effective at reducing mortality rates of surgery patients. His findings were known to have offended the doctors! 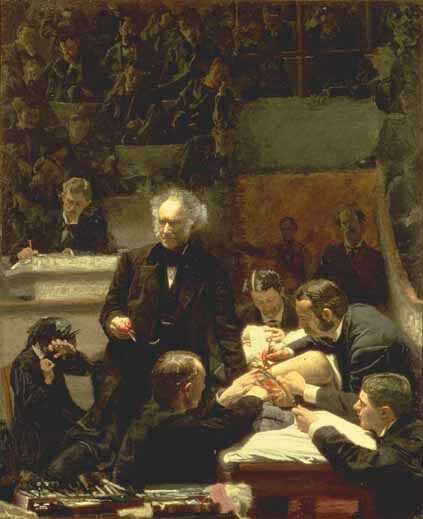 Even Louis Pasteur’s Germ Theory or Joseph Lister‘s concept of antiseptic surgery techniques contributed little to the mainstream propogation of the idea of sanitation in health care. The break through in seeding this key idea came over the course of several years as follows. It turned out that the key message to teach surgeons was not how to stop germs but how to think like a laboratory scientist. A few pioneering German surgeons siezed upon this idea – of the concept of surgeon as a scientist – and seeded this in their students’ minds, many of whom were young medical practitioners from US and other countries. The result? The students swapped their black coats for pristine laboratory whites and returned to their home countries as ambassadors not only for the use of antiseptic practice to kill germs but also to prevent germs. Evangelising through their own students and colleagues, they finally spread the ideas worldwide. So, the idea of basic sanitation and sterilization for health care and germ prevention spread not because of academic journals or publications, but because of social diffusion – where people (medical practitioners) talked to people (students). In many parts of the world, Diarrhea remains the world’s biggest killer of children under the age of five. ORS (Oral rehydration solution) has been known to be a simple yet effective cure for the illness which required a miraculously easy formulation that can be made at almost every home around the world (water + sugar + salt). 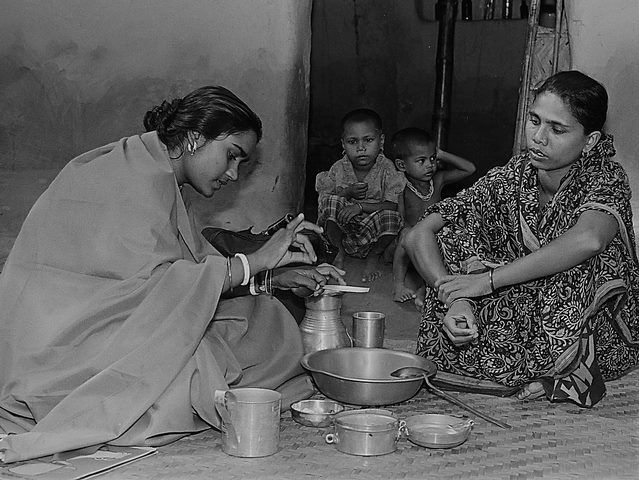 In 1980, a Bangladeshi nonprofit organization called BRAC embarked on a nationwide ORS adoption drive. How did they go about this? The organization didn’t launch a mass-media campaign. It attacked the problem in a way that is typically dismissed as impractical and inefficient: by going door to door, person by person, and just talking. Shifting gears a bit and moving over to Ethnic Foods..
Till 2005, Greek Yogurt was a niche segment in the US with a market value of just about $60 million. But in just 5 years a new brand, Chobani has gone to become one of the most explosive food start-ups ever to hit the market netting more than $1 billion in annual sales and rejuvenated the entire Yogurt category in the US. How did that happen? Ofcourse, Chobani, under the visionary founder Hamdi Ulukaya, had a brilliant execution of its mix – from clutter breaking packaging, category defying in-store placement (he is known to have insisted that Chobani packs be merchandised in the main dairy area, not in the specialty section), competitive pricing and appealing flavours. But fortunately for Chobani – the timing was just right. Consumers were adopting healthier snack options into their busier lifestyles. So much so that when someone opened a pack of Greek Yogurt, it inadvertently became an instance of conspicuous consumption – a prominent scenario of social diffusion enveloped in a message of healthy tasty snack. So each time a pack of Greek Yogurt was opened, it created awareness and generated talkability around Greek Yogurt’s health benefits and unique taste. And this was even before its first mass media campaign. 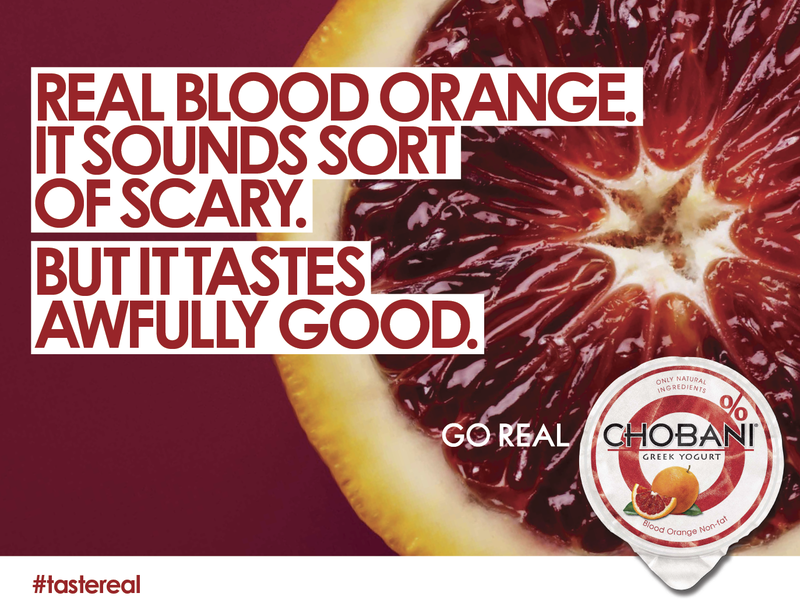 As Niel Sandfort, Director of Marketing at Chobani says.. So by the time, the company embarked on its first mass media campaign, the size of the population that was aware of or bought Chobani at least once, reached a “tipping point“, allowing the product to take hold widely. The result? An explosion in the growth of the Greek Yogurt segment. Today, the Greek Yogurt category – once a niche segment – now accounts for 36 percent of the $6.5 billion in total U.S. yogurt sales (source) with Chobani being the number one seller in the category, with nearly 52% market share in the US! Guacamole – is an avocado based dip that originated with the Aztecs in Mexico. But in less than a generation, it went from an unknown Mexican delicacy to becoming part of everyday cuisine as a dip, condiment and salad ingredient. This growth of gacamole was partly because it’s a party food. i.e., people discovered it when others shared it. So in essence, while we yearn for frictionless, technological solutions, people talking to people is still the way that ideas and innovations spread. In fact,Diffusion of innovations – a theory by Everett Rogers that seeks to explain how, why, and at what rate new ideas and technology spread throughcultures – says diffusion as a social process of people talking to people is central in spreading an idea or innovation among the members of a social system. Meanwhile Sabra – a PepsiCo owned company that sells Middle Eastern food products in the US – is fretting that 80 million Americans have never heard of hummus. This entry was posted in Advertising, Branding, Business Model, Concept, Consumer Behavior, Creative Executions, Emerging Markets, Innovation, Marketing, Non Profit, Social Network, Sustainability and tagged Atul Gawande, BRAC, Chobani, Diffusion of Ideas, Door to door selling, Everett Rogers, Greek Yogurt, Guacamole, Hamdi Ulukaya, Hand Washing, health care, Healthy Diet, Hummus, Infections, Louis Pasteur, Medical Practice, medical practitioners, Merchandising, ORS, Packaging, Party Food, Sabra, Seth Godin. Bookmark the permalink. As I remember, the origins of the diffusion of innovation theory are varied and span multiple disciplines. Everett Rogers, sociologist, popularized the theory in his book Diffusion of Innovations, in the 60’s. He said diffusion is the process by which an innovation is communicated through certain channels over time among the members of a social system. 50 years later, we can see the explosion of ideas and innovation through social media channels, but not just for branding activities, also in political situations. As an example, my country, Human rights in Venezuela are under attack. The mass media channel are under governmental control… Real time information isn’t available. Twitter, YouTube, Facebook, Instagram are helping the democratic society to organize events, coordinate plans and inform about the real situation of the country. True. It’s even more interesting today to see and learn how some ideas spread in the milieu of the social n/w’s – but I guess it still needs to hit that sweet spot of having at least a minimum required level of ‘people to people interaction’ i.e., face to face interaction to be able to tip the scales for becoming an ‘idea virus’ at scale. For the new generation… face to face is overrated. For the new google generation, face to face is overrated. Reblogged this on The Gothard Group, LLC. really great post. i am an avid greek yogurt consumer. oh to have had the gumption myself…..
Good luck on your new business! My contention has been that the WOM – is still a key thing required till the tipping point after which the propagation of the idea assumes the required ‘scale’ in terms of the reach/frequency. Brilliant article establishing a simple fact that WoM is the only way to bring long term profitability to a company, whereas fads like social media and in-your-face advertising are either short term and/or even not-profitable (if we consider the cost of time and resources spent). Reblogged this on best sales.